alamode: My Vera Bradley Find That Is Very Tory Burch 'ish'- $14.99! 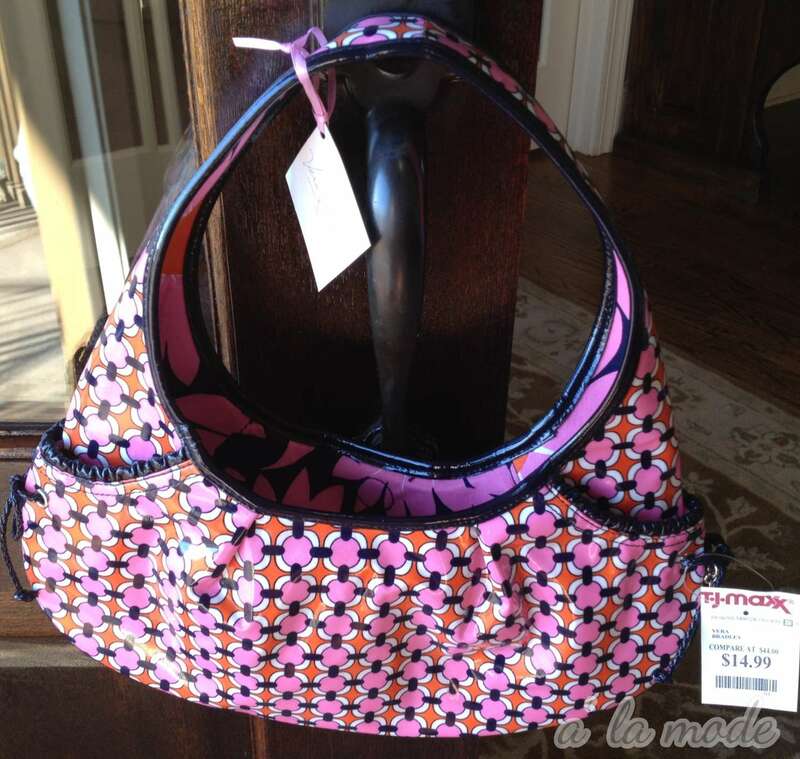 My Vera Bradley Find That Is Very Tory Burch 'ish'- $14.99! I've never really been a big fan of Vera Bradley, but I found this cute little bag at TJMaxx and I thought is was SO CUTE. and I am a BIG fan of her stuff. 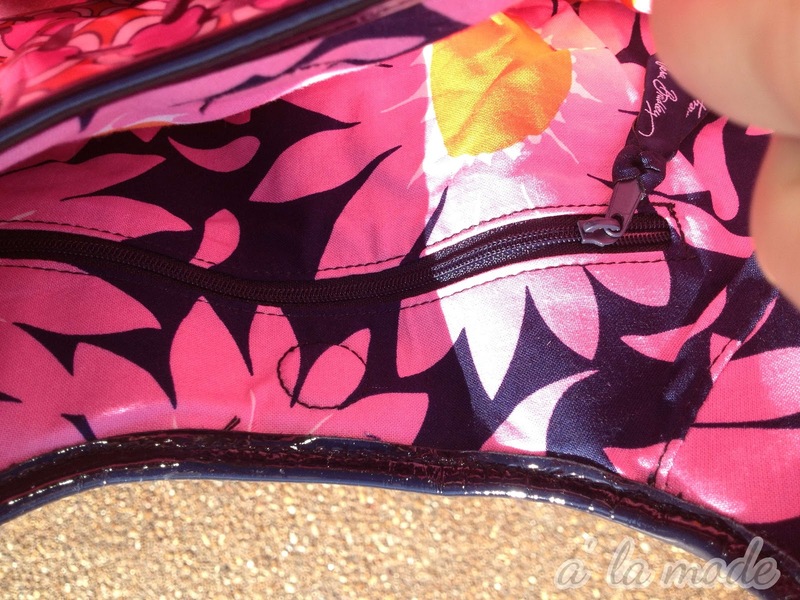 The inside is this cute floral. I am loving the pink and navy. I am actually overly 'into' navy right now. The $14.99 price tag isn't too shabby! The Vera Bradley tag says $44- no thank you. It is definitely a cute little bag...good find! very cute! great for Spring! Very cute! 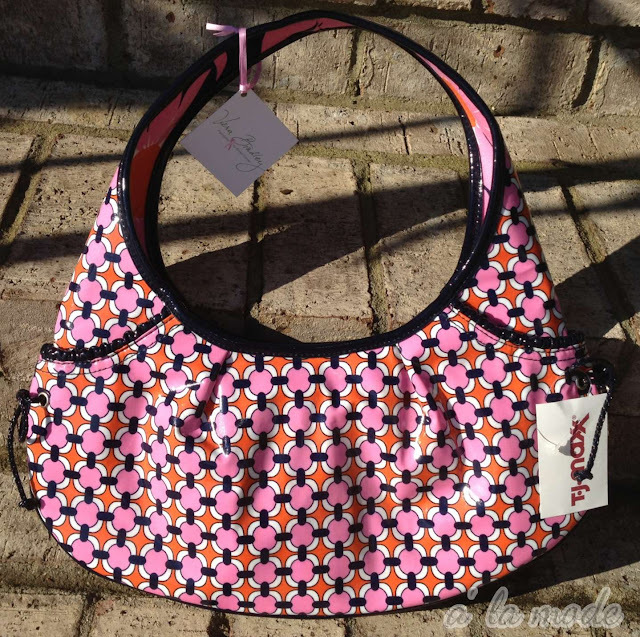 I noticed a few Vera bags at our store the other day. Ha, love Mrs. Roper!! Love TJs for some great handbag finds! We have a vera bradley outlet about 30 minutes away. High degree of danger when I go in there. I own several sizes/designs of tote bags for carry-ons, and I love that oil cloth line too! I LOVE LOVE LOVE TJ Maxx. I always find something great. This bag is very adorable! I have a laptop bag in this fabric, I love it! fab bargain! good for you. I am literally FLYING to my TJMaxx right now...not a big Vera fan...until now...Mrs.Roper, however....LOVE her! Thanks for sharing your find! Darling. Super cute. I am still cracking up about Mrs. Roper . . .ha!!!! I am sure they were more like stylish yoga pants than a duster gown! Also, join me for a drink at the Regal Beagle? I LOVE Navy and Pink together! I purchased the Got it Handled version at my TJMaxx for $19.99..I like that it can be wiped off easily with 4 boys thats a huge plus! I also bought the Call me Coral Charleston tote...so cute!